When restoring a spectacular and unique building in the heart of the beautiful Derbyshire Dales into the perfect getaway for groups of up to 40, it’s vital that the transformation pays as much attention to the exterior of the property as the interior – and that’s exactly what’s happened at Hollywood House. Built in 1910 in an authentic American colonial architectural style by a businessman from the US, the magnificent property is located in the hamlet of Blackbrook on the edge of a World Heritage site. Splendidly restored by local entrepreneurs Mike and Michele Wrigley, Hollywood House resembles Graceland, the infamous home of Elvis Presley, making it a luxurious venue for gatherings, celebrations and corporate entertaining. Oozing quality and class throughout, all the rooms have been decorated to keep in with the theme of the name of the house. “We’ve styled it on ’50s Hollywood, a time of wonderful glamour and sophistication, but we’ve done it in a subtle way,” says Julia Lyne-Watt, who works for Mike and Michele’s Ashbourne-based firm PMW Property, specialising in commercial, residential and holiday lets. Guests can choose from a range of rooms to stay in, each themed on a Hollywood legend; James Bond, James Dean and Alfred Hitchcock to Marilyn Monroe, Elizabeth Taylor and Audrey Hepburn, to name but a few. To make the most of the beautiful location of the property and to utilise the large, private gardens that overlook the stunning Derwent Valley, the glamour of the outside needed to match the inside. 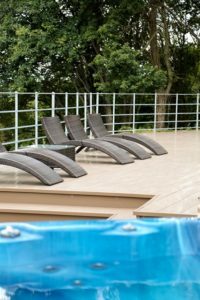 Liniar’s quality uPVC decking was the obvious choice to ensure that guests would enjoy the same level of luxury when relaxing on the terrace, which boasts a plunge pool and large hot tub. “We chose the Liniar deckboards for a variety of reason,” says Julia. “The main one being the aesthetics – the superb colour and woodgrain-effect brings the exterior in line with the style of the rest of the property. “But there also are lots of other advantages to choosing it. The anti-slip surface means it’s safe for our guests, especially ones taking advantage of the hot tub and plunge pool! 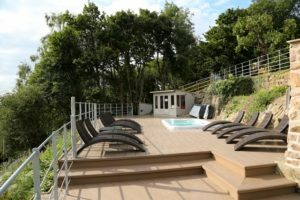 Despite covering a large area, the deckboards were quickly and easily fitted by the owner’s own team and Julia has been delighted with the results. Hollywood house is available from £5,000 for a two night stay – click here for more information. 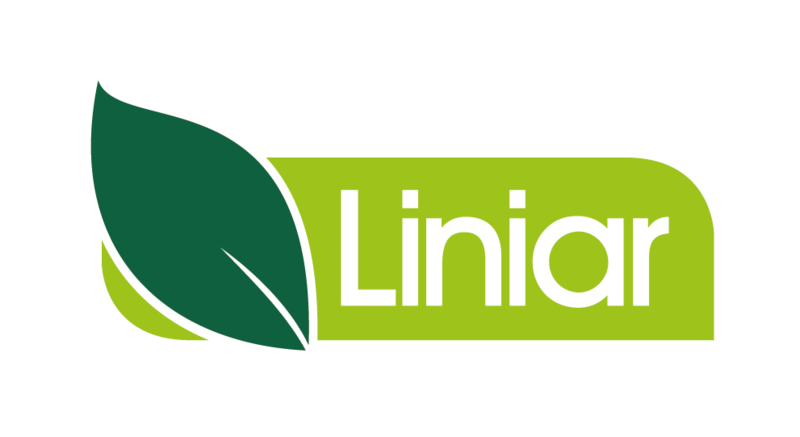 Click here to find out more about Liniar decking or call 01332 883900.